Nobody does neon better than the Rockies. 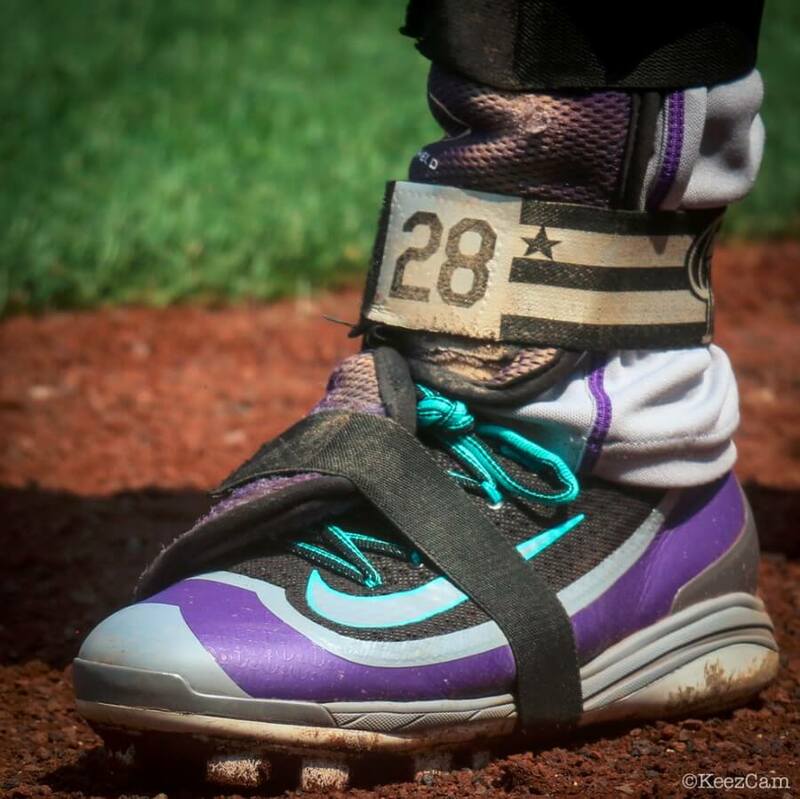 Arenado’s 2K Filth cleats have a blue neon that, like CarGo’s pink, looks sick with that purple/black. 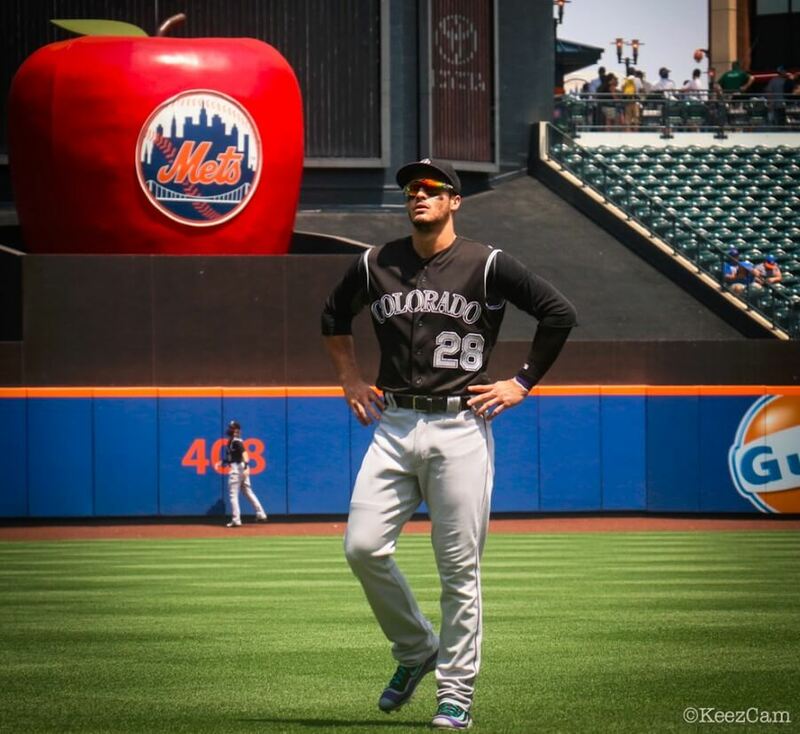 Arenado wears MCS bottoms to cut down on the wear-and-tear of a long season.